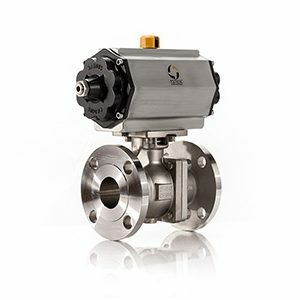 The Series 9000 Flanged Ball Valves are available in Carbon Steel and Stainless Steel. It is equipped with a Dual Pattern ISO 5211 mounting pad with square shaft, therefore brackets are not required for actuation. These valve assemblies are used in several applications requiring a high quality automatic ball valve.